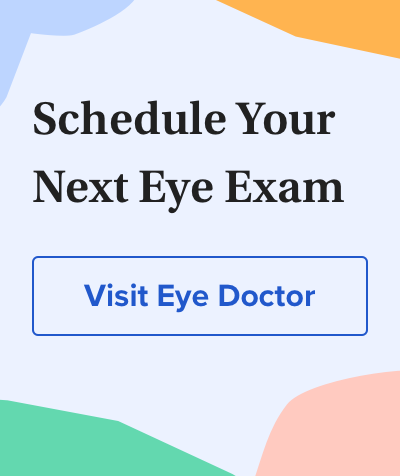 When retinitis pigmentosa is suspected, visual field testing likely will be conducted during or after your routine eye exams to determine the extent of peripheral vision loss. Other specialized eye tests may be needed to determine whether you have lost night or color vision. Pigmentation in the retina is a sign that light-sensing cells are deteriorating, so it becomes very difficult to see in dim light. During later stages of retinitis pigmentosa, only a small area of central vision remains, along with slight peripheral vision. It's very difficult to predict the extent of vision loss or how fast it will progress when you have retinitis pigmentosa. Your eye doctor will monitor the health of your retinal cells and administer tests to determine how well you can see. At some point, you may be advised to drive only during the daytime or on well-lighted streets at night. Eventually you may be unable to see well enough to drive at all. Rather than being considered a single disease, retinitis pigmentosa instead is viewed as a group of diseases affecting how light-sensitive cells in the back of the eye function. Not much is known about what causes retinitis pigmentosa, except that the disease is inherited. The eye condition is associated with at least 32 different genes, which control traits that are passed along in a number of different ways. At times, the genetic trait is dominant and likely to be passed along to a child when a parent has RP. At other times, the trait for retinitis pigmentosa is recessive and may be present for many generations before it appears in a family member. This means that, even if your mother and father don't have retinitis pigmentosa, you can still have the eye disease when at least one parent carries an altered gene associated with the trait. In fact, about 1 percent of the population can be considered carriers of genetic tendencies for retinitis pigmentosa. Retinitis pigmentosa occurs in about 1 of every 4,000 people in the United States. When the trait is dominant, it is more likely to show up when people are in their 40s. When the trait is recessive, it tends to first appear when people are in their 20s. Currently there is no cure for retinitis pigmentosa. But several companies are developing retinal implants (sometimes called bionic eyes) and other innovative treatments that are showing promise in providing or preserving some degree of usable sight for people affected by RP. Argus II Retinal Prosthesis System. Second Sight Medical Products has developed the Argus II Retinal Prosthesis System for patients blinded by retinitis pigmentosa and other degenerative retinal diseases (see video). The Argus II system includes a tiny video camera that is built into a special pair of eyeglasses. The camera is connected to a small, wireless device worn by the patient, which coverts the video input to electronic signals that are transmitted wirelessly to the implant in the eye. to the brain, where it is perceived as patterns of light. The patient learns to interpret these patterns so he or she can distinguish the outlines of objects. At the 2011 annual meeting of the Association for Research in Vision and Ophthalmology (ARVO), researchers presented data from a clinical trial of 30 people blinded by RP or other retinal disease who underwent implantation of the Argus II device at 10 eye surgery centers worldwide over a four-year period. All patients obtained some visual perceptions from the Argus II device, and many showed significant improvements in mobility skills, such as following lines, opening doors and windows and avoiding objects. Two people implanted with the Argus II were able to read short sentences, which exceeded the researchers' expectations, and the gains in vision by many patients were maintained during a follow-up period of at least two years. The Argus II Retinal Prosthesis System received FDA approval in February 2013 for use in people with late-stage retinitis pigmentosa. The cost of the system is approximately $150,000, though it's possible medical insurance might cover some of the costs associated with the device and the implant surgery. Retina Implant AG is another medical device company developing a retinal implant for people with severe vision loss from retinitis pigmentosa. Watch this video on how a microchip implanted in the eye can restore some sight.
. The implant contains 1,500 individual pixel cells, each containing a light-sensitive photodiode, an amplifier, and as electrode to transmit electrical signals to the optic nerve. (see video). The pixel cells replace the natural photoreceptors of the retina damaged by RP. When light hits the photodiodes in the implant, it creates an electrical pulse that is sent to the optic nerve and on to the visual part of the brain. Because the light-sensitive implant cannot duplicate the intricate visual perception process initiated by natural photoreceptors in the retina, patients receiving the device cannot visualize objects sharply, but are able to locate light sources and localize physical objects, according to the company. Results from Retina Implant AG's second human clinical trial published in February 2013 revealed that blind RP patients receiving the Alpha IMS implant were able to recognize faces and read signs on doors. Similarly, results from the company's first human clinical trial published in 2010 showed that some of the implant patients were able to recognize objects and facial expressions as well as read words and see dots on a pair of dice. Retina Implant AG does not yet have FDA approval of the Alpha IMS device for use in the United States. But the company reported in July 2013 that based on results of 36 blind RP patients who had undergone the implant surgery, it was granted a CE marking for certification of the device for use in European Union markets. Electrical Stimulation Therapy. For patients with early and intermediate-stage RP, electrical stimulation therapy (EST) of the eye may help preserve vision that otherwise would be lost to the disease, according to representatives of Okuvision, a German medical device company founded by Retina Implant AG, at the 2011 ARVO meeting. In a clinical trial of 24 patients with early or mid-stage retinitis pigmentosa that began on 2007, eyes that received small amounts of electrical current delivered to the retina via a tiny electrode showed a significant improvement in field of vision, compared with eyes that did not receive the stimulation. According to the researchers, the study suggests controlled electrical stimulation of the retina releases growth factors which may delay degeneration of the retina from RP. nutrient therapies to reduce retinal damage, and gene therapies designed to transplant normal genes into retinal cells to replace missing or defective ones to halt or reverse retinitis pigmentosa. Early intervention with occupational therapy may be helpful to manage life changes caused by RP, because it's easier to adjust to declining vision in earlier stages of vision loss. Individuals with retinitis pigmentosa also might consider use of low vision devices that can help magnify and illuminate objects in home and work spaces. Retina Implant AG's Alpha IMS wins CE mark. Press release issued by Retina Implant AG, July 2013. Retina Implant AG principal investigators meet at ARVO 2013 annual meeting. Press release issued by Retina Implant AG, May 2013. Retinitis pigmentosa. Ferri's Clinical Advisor 2010, 1st ed. 2009. Retinitis pigmentosa. Ophthalmology, 3rd ed. 2008. Usher syndrome. Otolaryngology: Head & Neck Surgery, 4th ed. 2005.